Cane Bay Partners VI, LLLP Co-CEOs Kirk Chewning and David A. Johnson on Monday congratulated Junior Achievement Virgin Islands on the success of their inaugural golf tournament held Feb. 29 at Carambola Golf Club. Cane Bay Partners VI was one of the local sponsors of the golf tournament. 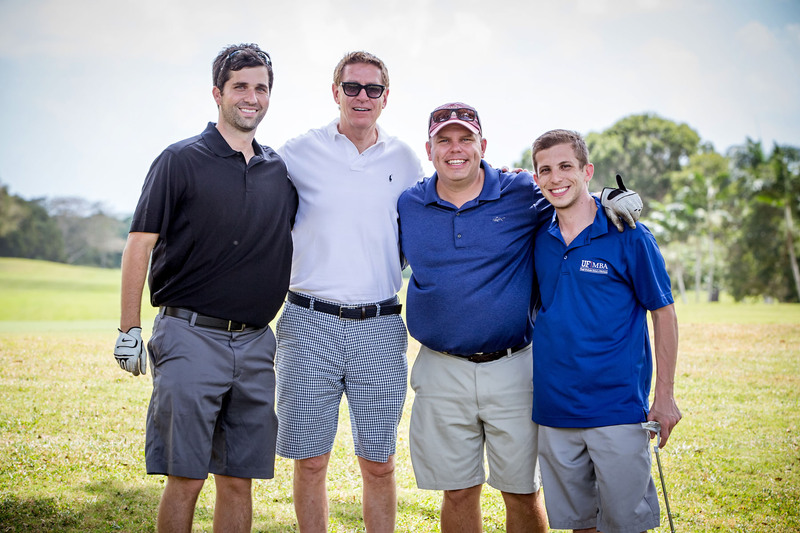 Chewning was among the participants of the Junior Achievement Golf Classic and also serves as vice chair of the JAVI Board. The tournament was conceived by Chewning and Patrick Cox, also a member of the Junior Achievement VI Board. The event coincided with an annual legal conference, which brought 40 to 50 attorneys and their support staff to St. Croix, according to Bryan. About Junior Achievement Virgin Islands: Junior Achievement is the world's largest organization dedicated to empowering students to own their economic success by giving them the knowledge, skills, and confidence necessary to dream big and reach their full potential. Through a dedicated volunteer network, Junior Achievement provides in-school and after-school programs for students which focus on three key content areas: work readiness, entrepreneurship, and financial literacy. Locally, over 150 volunteers reach 1,200 students with quality education programs. In the Virgin Islands Junior Achievement operates programs on the elementary, junior high and high school levels. JAVI impacts approximately 7 percent of the school population territory-wide. The goal is to get to 20 percent of the school population and create and generation of entrepreneurs. In the 2015-2016 school year, JAVI have already conducted programs that reached over 40 classrooms. For more information on the tournament, go to http://www.jausvi.org contact JA Executive Director Albert Bryan at 340-643-2014 or abryan(at)jausvi(dot)org. Kirk Chewning (second from right), co-CEO of Cane Bay Partners VI and vice chair of the Junior Achievement VI board, poses with teammates during the Junior Achievement Golf Classic Friday at CarambolaKirk Chewning (second from right), co-CEO of Cane Bay Partners VI and vice chair of the Junior Achievement VI board, poses with teammates during the Junior Achievement Golf Classic Friday at Carambola Golf Club. Kirk Chewning (second from right), co-CEO of Cane Bay Partners VI and vice chair of the Junior Achievement VI board, poses with teammates during the Junior Achievement Golf Classic Friday at CarambolaKirk Chewning (second from right), co-CEO of Cane Bay Partners VI and vice chair of the Junior Achievement VI board, poses with teammates during the Junior Achievement Golf Classic Friday at Carambola Golf Club.